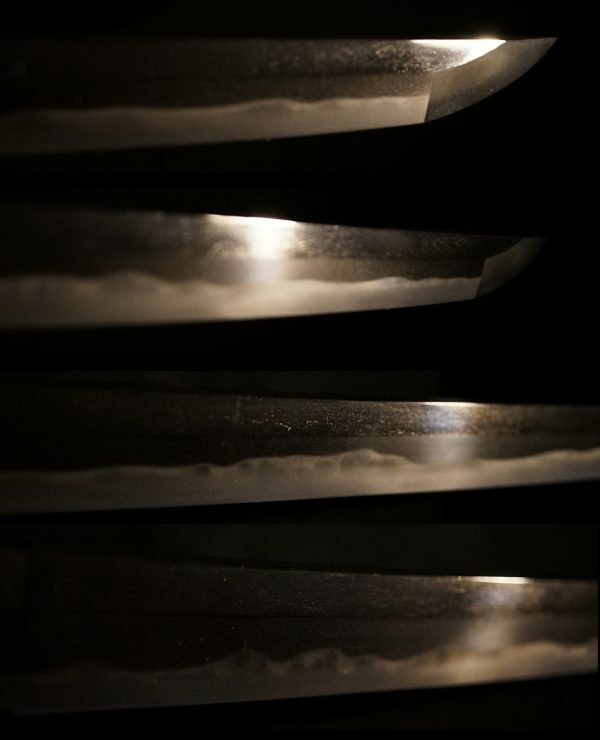 The blade is shinogi-zukuri with iori-mune. 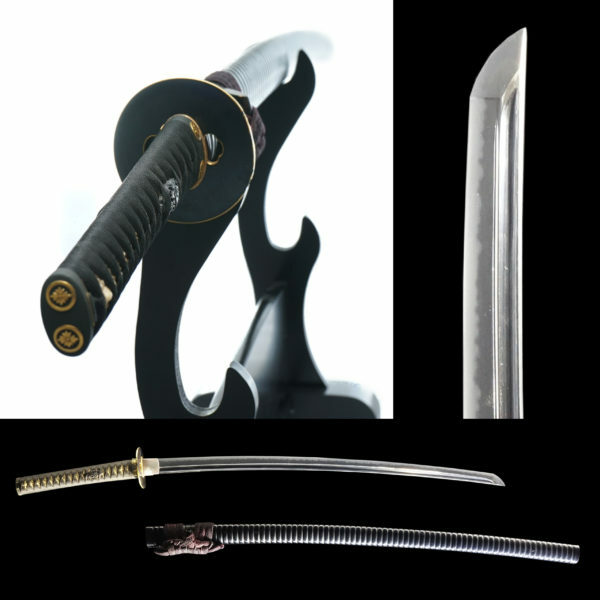 The Signed nakago is Tachi Omote side which means Tachi Koshirae out side. 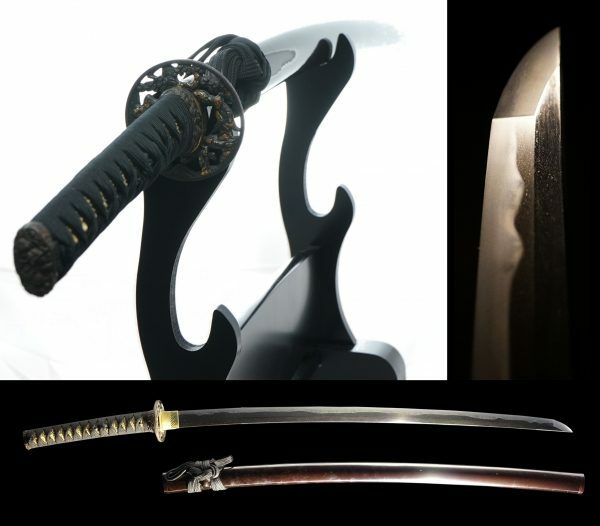 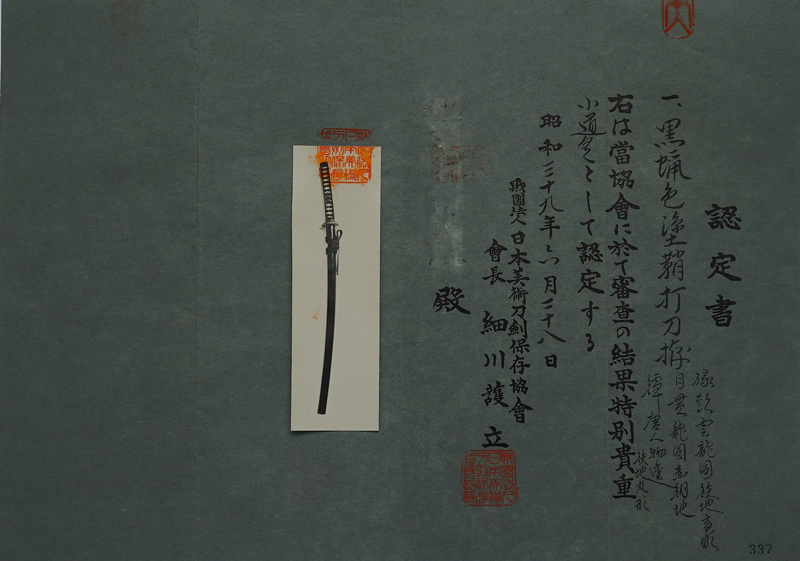 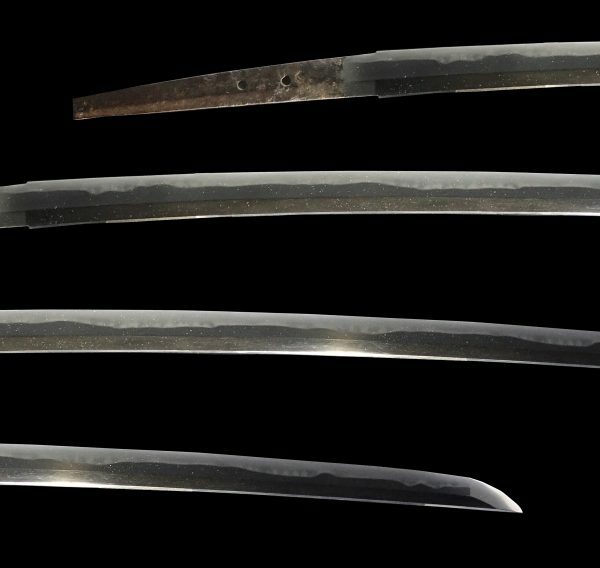 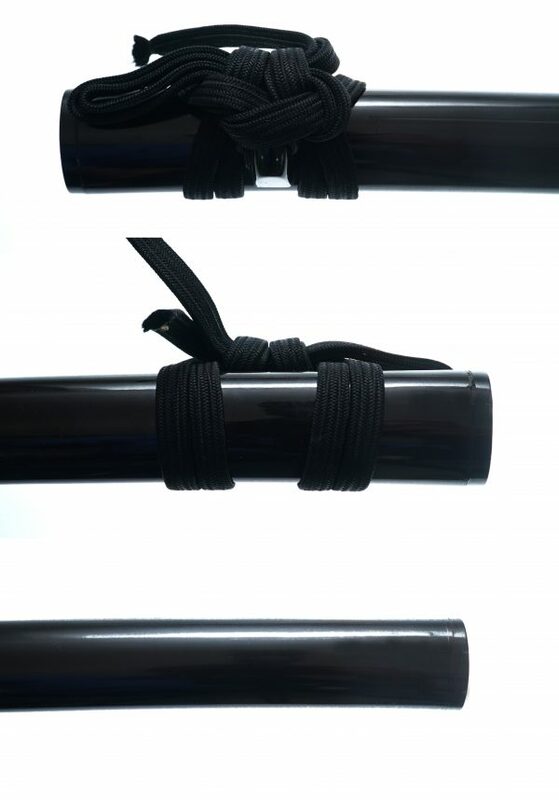 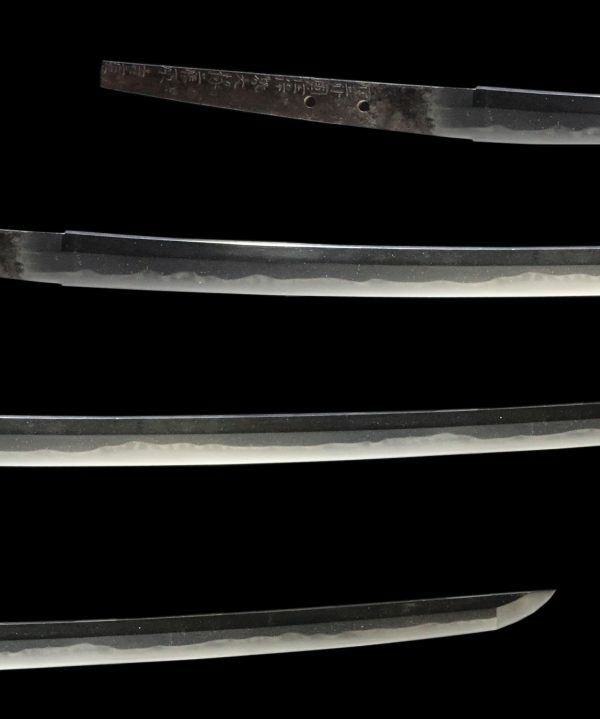 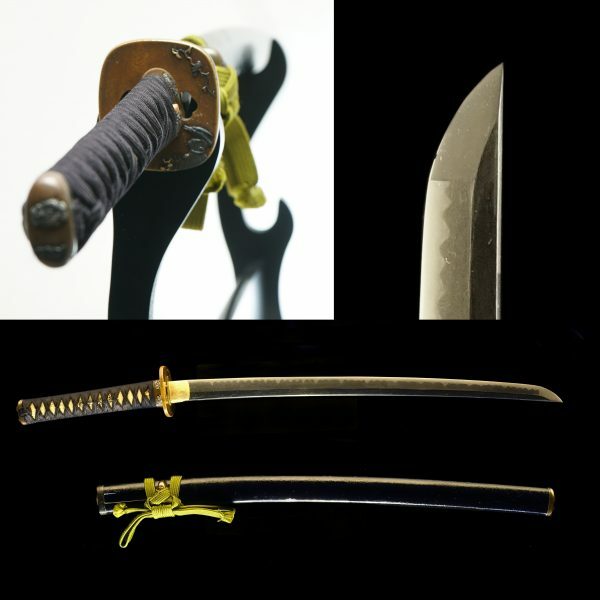 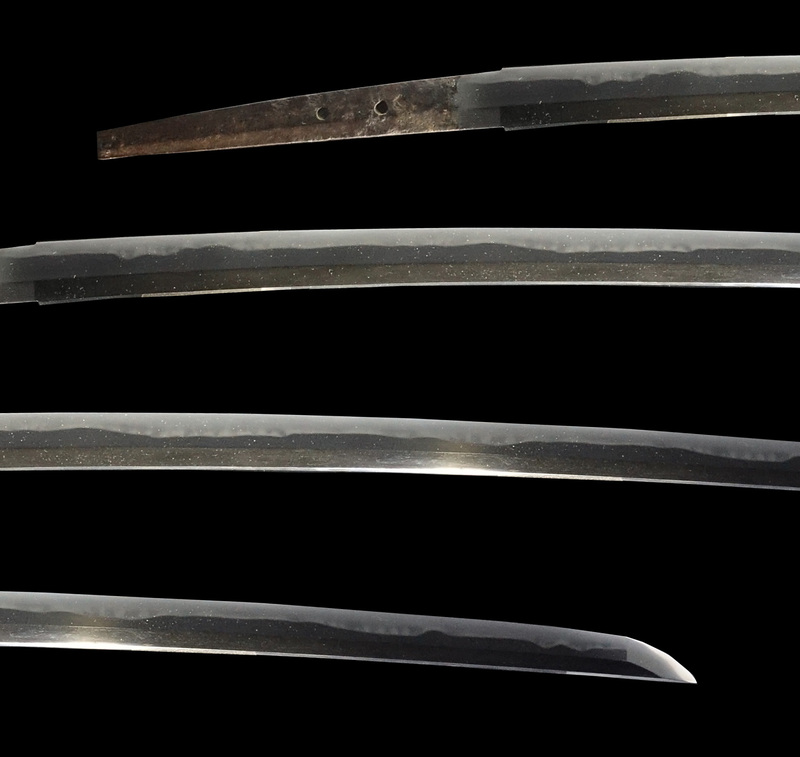 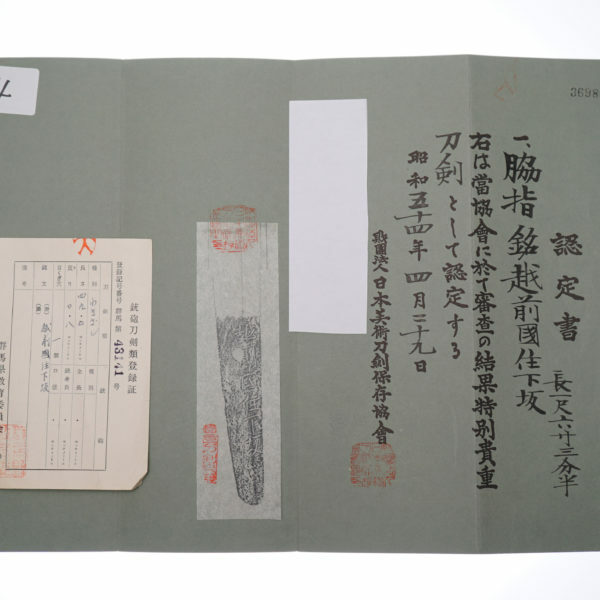 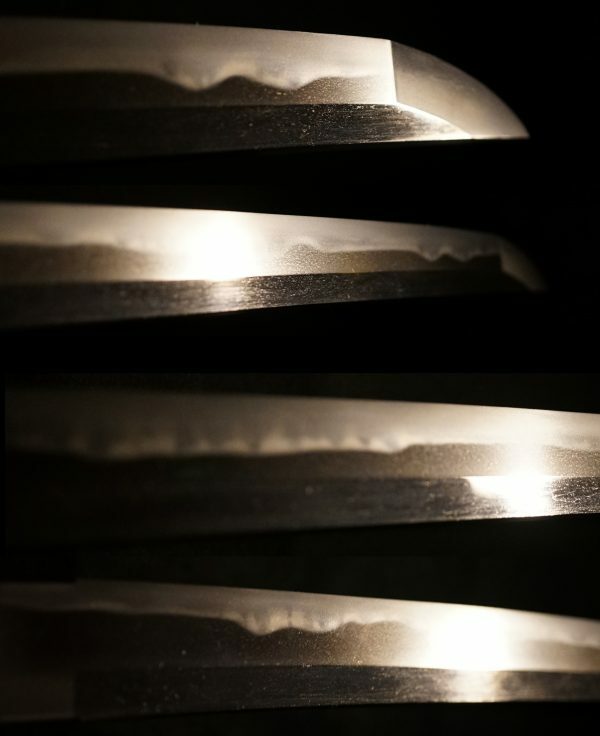 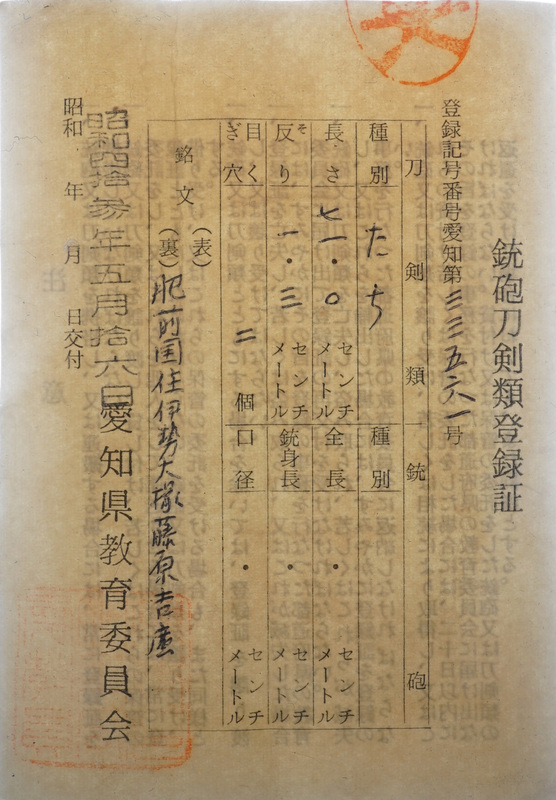 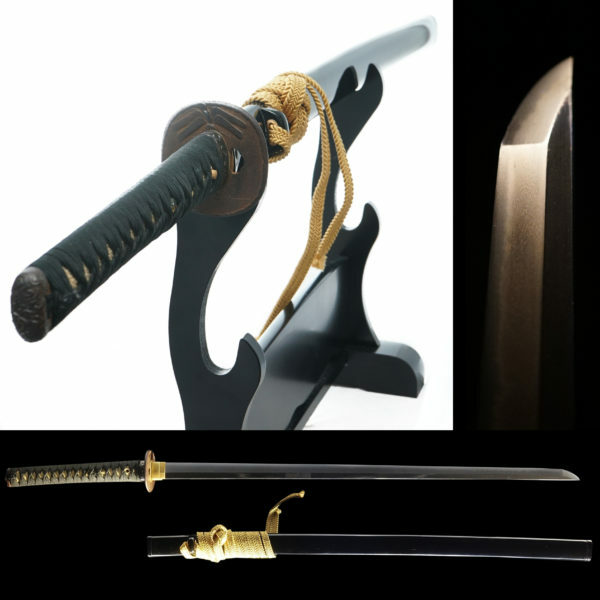 Hizen swordsmith often used tachi style signature. 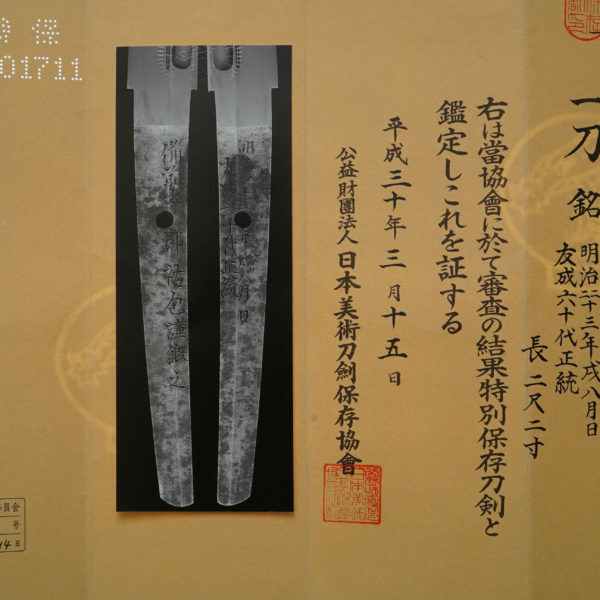 The swordsmith ISEDAIJYOU YOSHIHIRO is a student of 1st generation TADAYOSHI who is top class swordsmith in Shintou Era. 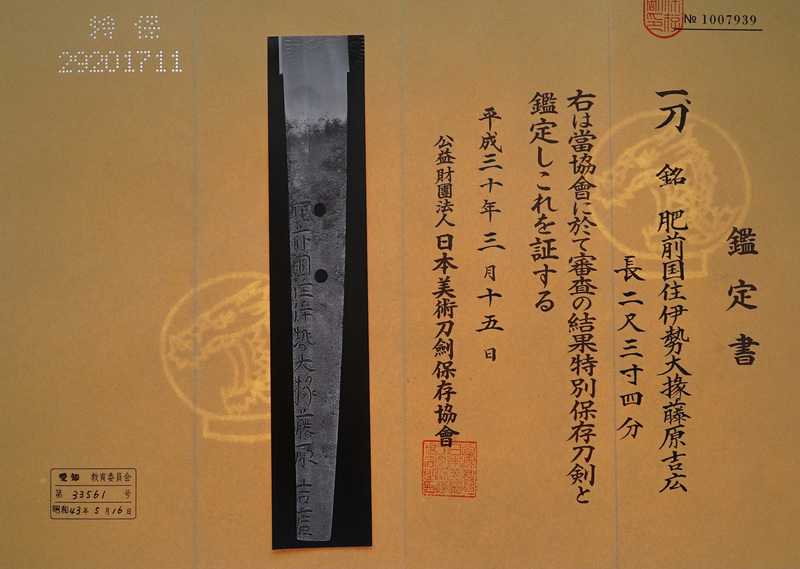 with signed GOUSHUU HIKONEJUU MOGARASHI SOUTEN SEI〔江州彦根住藻柄子宗典製〕. 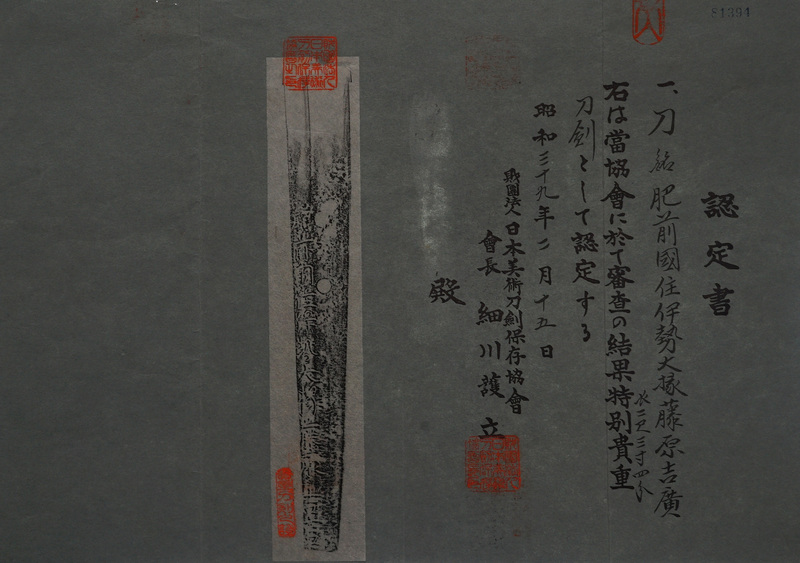 The antique MENUKI are Shakudou with curved dragon. 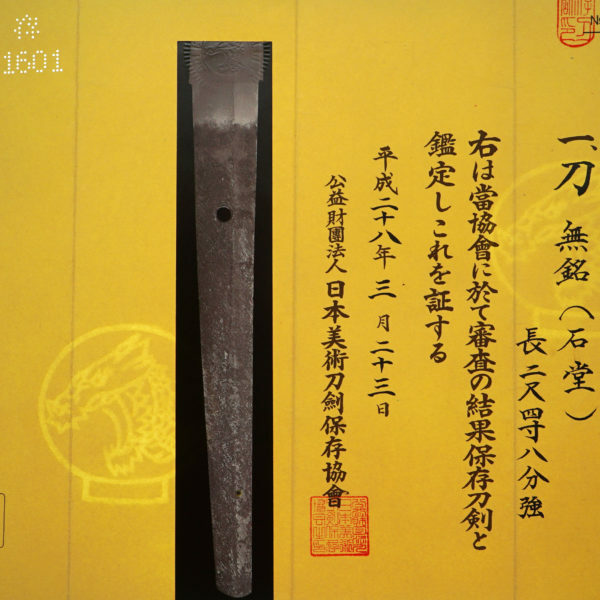 The TUBA is iron which has designs of a waterhall and two persons with open work. 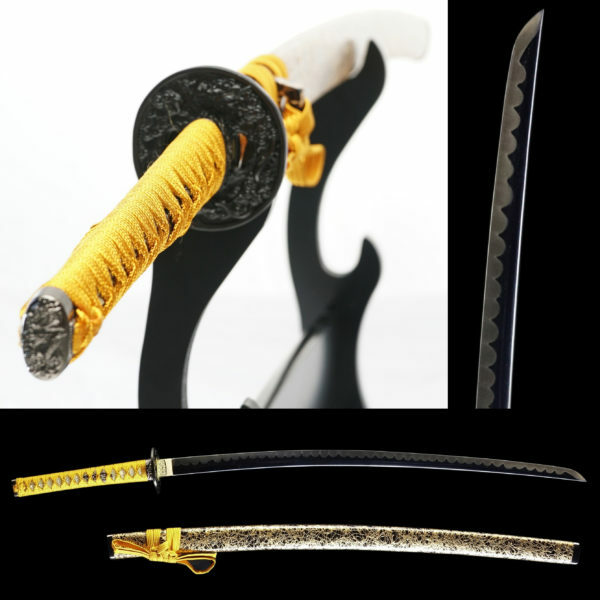 It also has MOGARASHI SOUTEN signature.